Planning is a large part of the civil engineering business. CEC has successfully developed plans for zoning changes for our projects. We have a good track record of working with regulatory agencies in planning for our clients projects to ensure successful completion in a timely manner. CEC has broad experience with water distribution and wastewater collection systems, including the design of many miles of water lines that have been accepted into municipal systems. We have worked closely with utility providers, regulators, and private developers to help meet the growing demands in our communities for safe and sufficient drinking water, fire protection and waste disposal while maintaining the integrity of the environment. 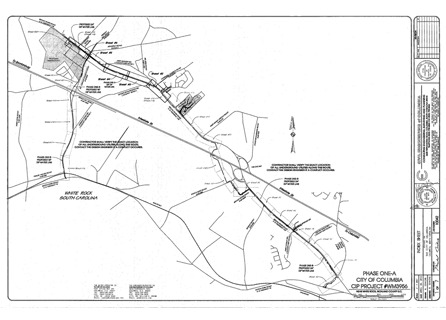 Route for City of Columbia waterline consisting of over 50,000 LF of linework two counties.